Welcome to the Chief Steamer website. We are leaders in the Auto Detailing industry. using coupon code 40JFQ at check out. We know you have now heard of steam and its effectiveness in cleaning just about everything, including cars…..or you would not be here. Now we have a bunch of videos throughout this site, so if you do not want to read too much about steamer and about how we came to develop these, then you can go directly to the videos. 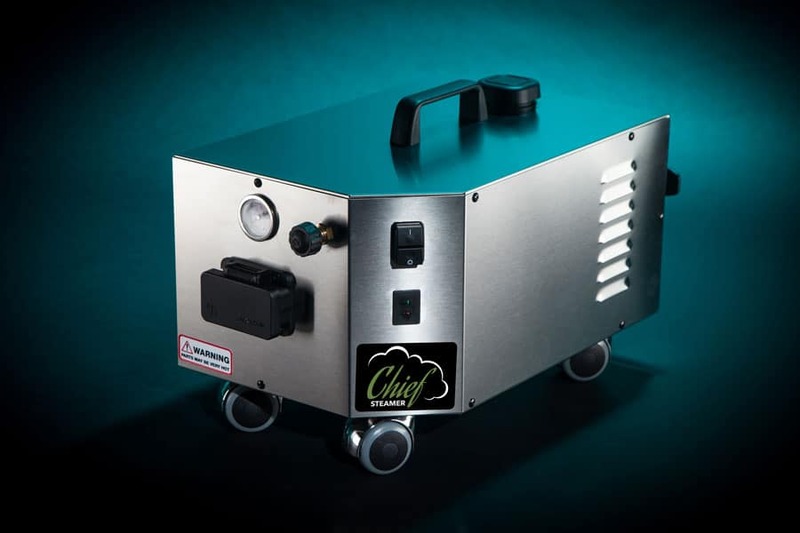 But here is a little background information to help you make the choice to purchase a Chief Steamer. In this video, we briefly explain the choices you have for using a Chief Steam cleaner to detail a car. All 3 are great machines and we want to help you choose which may be the best for you. My background has been in auto detailing. We have been pretty big in the industry and have worked with many of the leaders of the industry. We have worked closely with Optimum Polymer for many years and helped develop some of their great products. We have attended and spoken at many industry events over the years. We created the BMW North America detailing training program many years ago and have implemented these practices in their training facilities across the country. We have trained detailers from all over the world, and have had one of the leading detail training programs out there. We also have run a successful detailing business for many years. So, to sum it up, we know detailing! We explain what attachments and accessories are deleted from the package to reduce the price a bit. We know what attachments a person cleaning a car does NOT need, so we DELETE them for detailers. We had used steam cleaners for a very long time before selling them. We tried the cheap ones, the in-between ones, the expensive ones. All had some merit. All did a better job in helping to clean a car than the conventional methods. And all were a better solution. But of course, with the way auto detailers need to use equipment, we found many models did not last as long and didn’t perform as well as we wanted them to at all times. We then started selling other companies machines with some limited success. With that experience, came knowledge of the technology and how they worked. We now know what we want, how to get them built to stand up to detailer use (meaning all day, every day), and selling them at great prices so they can be affordable, reliable, and high performing steamers. We feel we have a Chief Steamer that will work for you. And we know how you need to use one to get the job done. Have confidence in us and let us show you why we think we are the choice for your steam cleaner purchase. Garland is an auto detailer. Read what he had to say. Watch and let us introduce to you the Chief Steamer lineup for Auto Detailers. 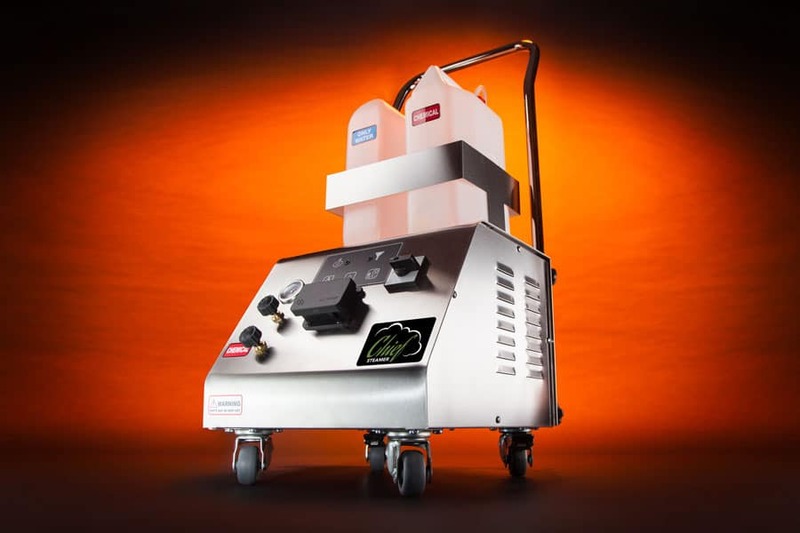 Once you have we are confident you will see why so many Auto Detailers choose us as their choice for Industrial Steam Cleaners for their Auto Detailing business. In this video, we talk about using a Vapor Chief steamer for car detailing and how it can be effective for car use. Using steam to detail a car is faster, more effective, more professional, and leaves a car drier with less chemical smell. A Chief steamer is a steam machine you need to detail a car. In this video we explain the “old school” way of cleaning a car interior without a steam cleaner and why its outdated, slower and less effective than steam. In this video, we explain why the Chief Steamer 125 may be the best choice for cleaning both the exterior and interior of a car and how it can be used for 3 different car cleaning operations. In this video, we explain why the Chief Steamer Refill 100 may be the best choice for your car detailing business. It’s our best selling steamer and becoming the standard for detailing cars with steam. 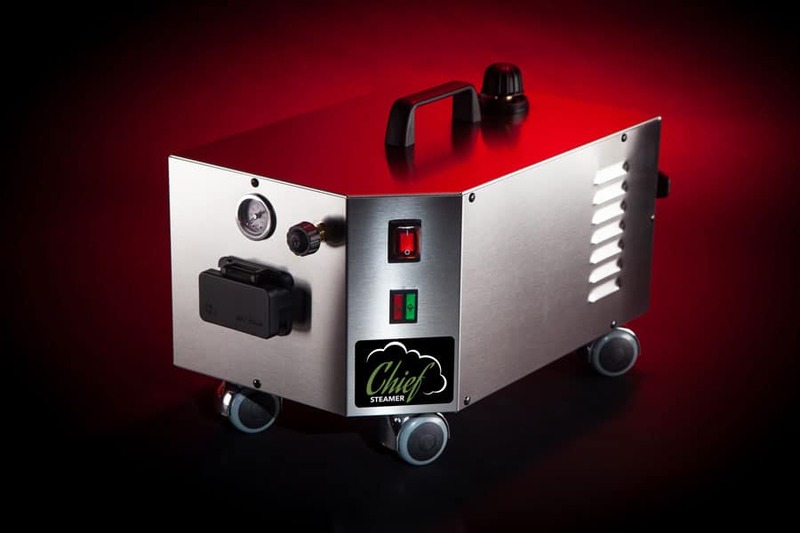 In this video, we explain why the Chief Steamer 75 may be the best choice to use in your car detailing business. It’s our cheapest steam cleaner, but certainly not a cheap machine. It’s great for car interiors and for detailers that only may do a few cars per day.